The 2010 Toyota Corolla has hybrid-challenging fuel economy and a plush ride that absorbs road imperfections without feeling like you’re driving on marshmallows. The electronically assisted power steering in the 2010 Corolla is very simply bad. The 2010 Toyota Corolla will not impress you, unless you’re looking for the best example of bland out there. That’s not necessarily a bad thing, and if a car is a car is a car to you, the Corolla is definitely that. However, it’s probably best to wait a year and see if Toyota refines its abysmal electronic steering. The four-door, front-wheel-drive Corolla was redesigned for the 2009 model year, and as a result the only changes for 2010 are standard traction control and anti-skid for all trims, previously standard on the XRS and optional on remaining trims. Of the five available trim levels, Base, LE, XLE, and S come with a 1.8-liter engine mated to a standard five-speed manual transmission or an optional four-speed automatic. The XRS trim comes with a 2.4-liter engine and an optional five-speed automatic as well as four-wheel antilock disc brakes and 17-inch alloys. The Corolla's 1.8-liter four-cylinder engine produces 132 hp at 6,000 rpm and 128 lb-ft of torque at 4,200 rpm, which is enough for most situations, as long as forethought and aggressive throttle usage are employed during passing and climbing situations. The 2.4-liter four-cylinder makes up for the smaller engine's lack of power up top with 158 hp at 6,000 rpm and 162 lb-ft of torque at an even more accessible 4,000 rpm. That said, the standard manual transmission can hardly be called sport-inspired, since it has an imprecise clutch feel that fails to add fun. The automatic transmissions are much more composed and refined, offering only a small mileage penalty with the 1.8 at 26/34 mpg versus the manual transmission’s 26/35. 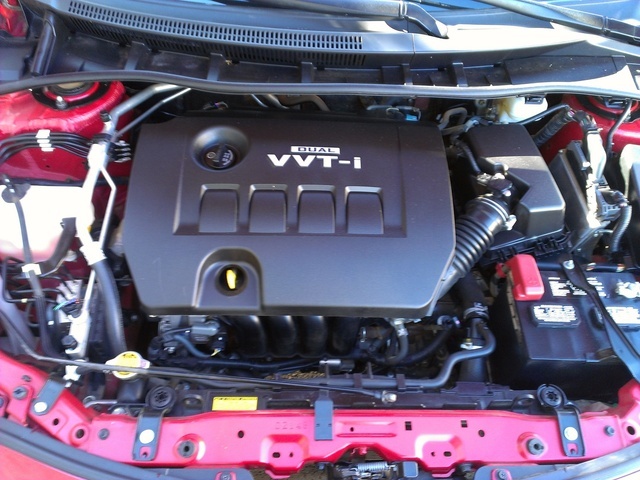 The 2.4 manages 22/30 with either transmission, and all Corollas run on regular-grade fuel. The Corolla uses an electronically assisted power steering system in an effort to conserve fuel. While noble, the system is in dire need of refinement. Each trim has a unique steering calibration, and all fail to achieve success, although the XRS comes closest. This is especially sad considering the generally smooth ride of the Corolla, with an impressive blend of performance and comfort that shows its weaknesses only during spirited driving, which can bring out excessive lean and noseplow. The XRS combats this well, but absorption and isolation suffer accordingly. Steering radius is tight at least, and not overly or incorrectly boosted at slow speeds. Brakes are strong and more than adequate with good pedal feel in all trims, but best in the XRS with its four-wheel disc brakes, as opposed to the rear drums in the remaining trims. The Corolla has failed to follow suit with the “wraparound” style that interiors have trended toward of late, and the result is a functional if minimal interior that relinquishes showiness and style for unobtrusive simplicity. The result is a “cockpit” that is actually more functional than cars with many more functions, gadgets, and features. In fact, the Corolla shows this same disparity even when compared with other Toyotas, although material quality does seem to suffer a bit. The XRS gets a unique interior that aims for sportiness and seems to miss the mark, imparting a cheap feel instead. Seats are comfortable front and back, with S and XRS trims getting additional bolstering. Taller drivers will find the front slightly cramped and the rear impossible, although shorter occupants should find no issue and much comfort. Visibility issues seem to be absent, and road noise is contained adequately, although the XRS has a noticeable tire thrum. The NHTSA has awarded the 2010 Toyota Corolla four stars in all tests except side impacts involving the front seat, in which the Corolla earned five stars. Standard safety features include dual front, front-side, and curtain-side airbags, antilock brakes with brake assist, an anti-skid system, traction control, daytime running lights, front-seat active head restraints, and a tire pressure monitor. The XRS additionally upgrades the rear drums to disc brakes. With the Corolla, it seems owners are more pleased by the lack of things to complain about than any particular feature. 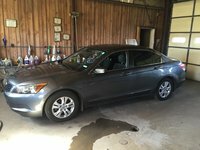 Comments of “great all-around vehicle” and “no complaints here” are repeated again and again, while some do have issues with the manual transmission and the interior materials. The electronically assisted steering has received the bulk of complaints, although many have criticized the 1.8-liter engine for its lack of refinement and slight power issues. 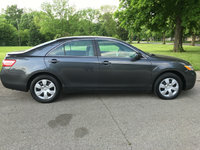 What's your take on the 2010 Toyota Corolla? SnookerSandy I love mine. Used to have a Honda Civic. Totalled in an accident. They are very similar. Users ranked 2010 Toyota Corolla against other cars which they drove/owned. Each ranking was based on 9 categories. Here is the summary of top rankings. 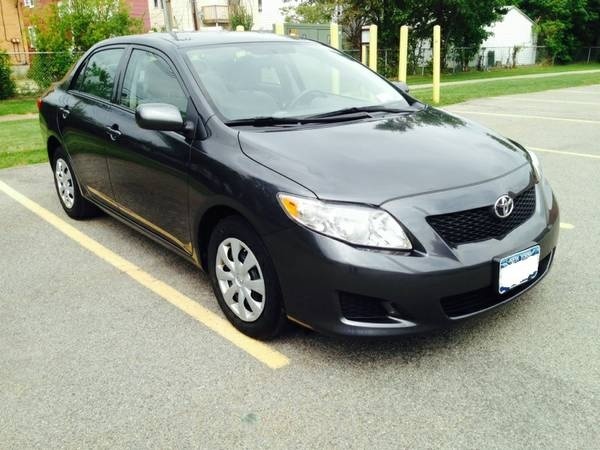 Have you driven a 2010 Toyota Corolla? Car is running fine, and all of a sudden my check engine light and my traction control light came on, and my VSC light started flashing. How can I fix this?